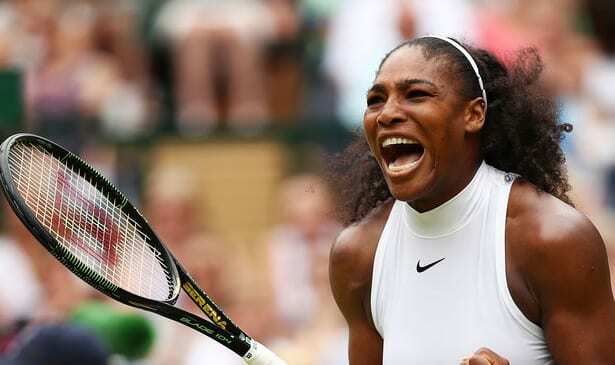 Just as Tiger Woods remains the number one news story in golf despite a long victory drought, Serena Williams is still by far tennis’ most closely watched and scrutinized figure. It has been clear from the less than stellar results of some early matches since her return after a 14-month break from competitive tennis that included the birth of her daughter Olympia in September that she’s not yet in top form, and it would be bizarre if anyone expected that to be the case. Williams came back in March, playing at the BNP Paribas Open in Indian Wells, California. She did win two matches, but was defeated in the third round by her sister Venus. Her next appearance was the Miami Open March 21, where she lost in the opening round. Williams has not played since then, and announced last week that she was skipping the Madrid Open. She previously won this event in 2012 and 2013, and it’s one of the top tune-up tournaments leading into the French Open. Williams did say she was “definitely” playing in the Italian Open, which begins in Rome May 14, and then would be in the French Open, her first Grand Slam event. After winning 23 Grand Slams, most reasonable people would think a 36-year-old playing for the first time in 14 months was actually ahead of schedule. It also goes into great detail regarding the risks she encountered during pregnancy. On the advice of her doctor, Williams had birth induced on her due date, but after 14 hours or so of labor, she and the baby began to show signs of stress. Williams and Ohanian decided she would have a C-section, even though she had a history of blood clots, which makes surgery risky. The premiere episode ends with a scared Williams being wheeled into the OR for the procedure. Future installments follow other aspects of her life, and provide insight into what has made her arguably the greatest woman athlete in history. There’s access to training rituals, motivation conversations, family decisions and encounters, and others areas far more personal than professional. Indeed, the major criticism of “Being Serena” seems to be that she’s placed TOO much emphasis on non-tennis aspects of her life, and that there’s so much focus on the pregnancy and wedding plans that you don’t see enough of the world-class athlete, nor get enough backdrop or insight into the tennis side. But this is just more of the drama and controversy that’s always made Serena Williams such a major story. Now the world waits to see whether she can somehow win another Grand Slam or two after such a long absence, and in particular how she’ll do during the clay court season. Clay has always been her weakest service, and few observers anticipate that she can only play a couple of tournaments, yet be able to then win the rugged French Open. A better bet is Wimbledon, which has always been her favorite. Still, at this point of her career, anyone counting Serena Williams out at any point would be making a serious mistake. As “Being Serena” shows, she’s always at her best when folks think she’s got no chance to succeed.